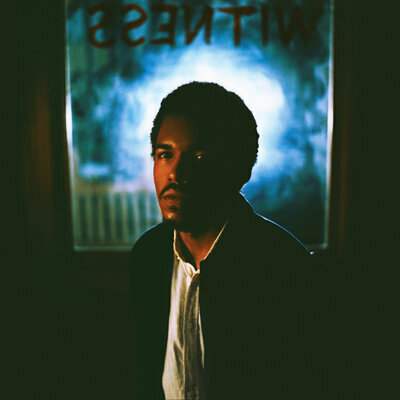 Benjamin Booker’s Witness makes it’s long-awaited debut in just a few days (June 2nd, 2017). Witness is a more political piece: acting as a response to police violence, BLM, and what it means to be a bystander. Although concise, the album’s title Witness says a lot just on it’s own. The album’s title track “Witness” Features vocals from gospel singer and activist Mavis Staples, traced with Booker’s haunting lyrics “Thought that we saw that he had a gun / Thought that it looked like he started to run” that make this album all more relevant. Upon announcement of the album, Booker released a corresponding essay which discusses where the name “Witness” comes from. You can read this essay in full below. By February of 2016, I realized I was a songwriter with no songs, unable to piece together any words that wouldn’t soon be plastered on the side of a paper airplane. I woke up one morning and called my manager, Aram Goldberg. “Do you speak Spanish?” he asked. The next day I packed up my clothes, books and a cheap classical guitar I picked up in Charleston. I headed to Louis Armstrong Airport and took a plane from New Orleans to Houston to Mexico City. I rented an apartment on the border of Juarez and Doctores, two neighborhoods in the center of the city, near the Baleras metro station, and prepared to be mostly alone. I spent days wandering the streets, reading in parks, going to museums and looking for food that wouldn’t make me violently ill again. A few times a week I’d meet up with friends in La Condesa to sip mezcal at La Clandestina, catch a band playing at El Imperial or see a DJ at Pata Negra, a local hub. I spent days in silence and eventually began to write again. I was almost entirely cut off from my home. Free from the news. Free from politics. Free from friends. What I felt was the temporary peace that can come from looking away. It was a weightlessness, like being alone in a dark room. Occasionally, the lights would be turned on and I’d once again be aware of my own mass. That month, Americans reflected on the murder of Freddie Gray by Baltimore police a year earlier. Growing up in the South, I experienced my fair share of racism but I managed to move past these things without letting them affect me too much. I knew I was a smart kid and that would get me out of a lot of problems. I wouldn’t really acknowledge it, but it was breaking me and my lack of effort to do anything about it was eating me up inside. I fled to Mexico, and for a time it worked. The song “Witness” came out of this experience and the desire to do more than just watch. In 1984, the New York Times printed an article titled “Reflections of a Maverick” about a hero of mine, James Baldwin. Baldwin has the following conversation with the writer, Julius Lester. Witness is a word I’ve heard you use often to describe yourself. It is not a word I would apply to myself as a writer, and I don’t know if any black writers with whom I am contemporary would, or even could, use the word. What are you a witness to? What’s the difference between a spokesman and a witness? A spokesman assumes that he is speaking for others. I never assumed that — I never assumed that I could. Fannie Lou Hamer(the Mississippi civil rights organizer), for example, could speak very eloquently for herself. What I tried to do, or to interpret and make clear was that what the Republic was doing to that woman, it was also doing to itself. No society can smash the social contract and be exempt from the consequences, and the consequences are chaos for everybody in the society. Preorder Witness via ATO Records, out June 2nd.